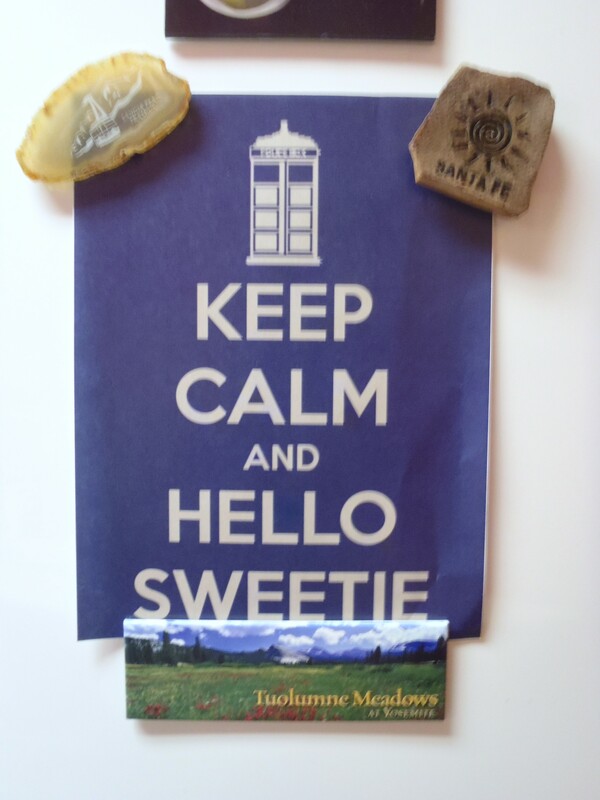 Fridge, meet TARDIS. TARDIS, meet Fridge. Someone on Pinterest posted photos of a fridge that was painted to look just like the TARDIS. I wanted this so much. My husband wanted nothing to do with this. So instead, this is what I have done.